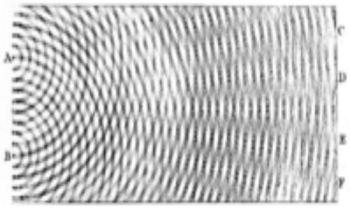 But the most important lesson is that, at a minimum, Einstein's minor dream of a world of pure geometry has largely been realized as the result of a large group effort. All known physical phenomena can now be recognized as fashioned from the pure, if still heterogeneous, marble of geometry through the efforts of a new pantheon of giants. Their achievements, while still incomplete, explain in advance of unification that the source code of the universe is overwhelmingly likely to determine a purely geometric operating system written in a uniform programming language. 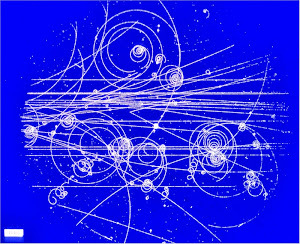 While that leaves Einstein's greater quest for the unifying physics unfinished, and the marble something of a disappointing patchwork of motley colors, it suggests that the leaders during the years of the Standard Model stasis have put this period to good use for the benefit of those who hope to follow. I studied under one of the professors he mentions, and I still don't know what he is talking about. Einstein's dream has not been realized. What he calls "the Standard Model stasis" was a period of great advance in understanding elementary particles, but he seems to be talking about string theory, which has been a big failure. There are some other explanations given that don't really explain anything. Claudius Ptolemy explained the sky. He was an Egyptian who wrote in Greek in the Roman empire, in the time of emperors like Trajan and Hadrian. His most famous book was called by its Arabic translators the Almagest. He inherited a long ancient tradition of astronomical science going back to Mesopotamia, but he put his name and imprint on the most successful and so far longest-lived mathematical description of the working of the skies. Ptolemy's geocentric universe is now known mainly as the thing that was rightly abandoned by Copernicus, Kepler, Newton, and Einstein, in progressive waves of the advancement of modern science, but he deserves our deep admiration. Ptolemy's universe actually made sense. That's right. Ptolemy was one of the great scientists of all time. We don't know how much he relied on earlier works, but the Almagest is a work of genius. It ia appalling that anyone would say that he was not scientific.